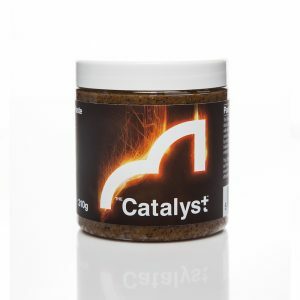 The Catalyst is a new active bait, built from new ideas, using the finest milk and hemp proteins with liquid vitamins, minerals, enzymes and yeasts which allow the bait to be digested easily by the fish. 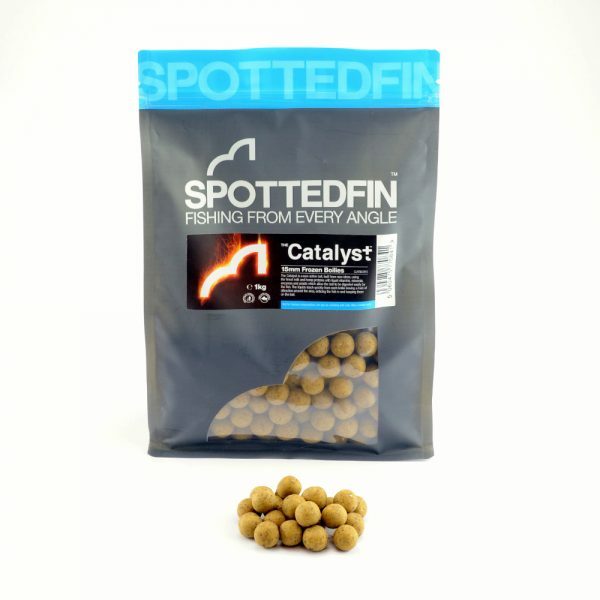 The liquids leach quickly from each boilie leaving a halo of attraction around the area, enticing the fish in and keeping them on the bait and tempting more wary fish that would otherwise swim over baits that don’t look they have sat for long in the water. 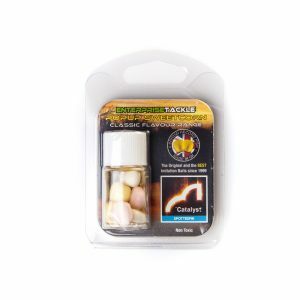 We make our boilie liquid which we developed over a 12 month period working with some of our carp and match anglers to find a liquid fish would turn onto straight away. It was something that provided them with the necessary energy and body building blocks required to be active and grow. It takes us 4 weeks to make the boilie liquid. We use active liquids and probiotic yeasts plus enzymes and other natural sugars to build up the liquid over the 4 weeks process. We make the activation of the liquid create a new liquid with a new profile to which we add liver products which round the protein profile out and to give it a slightly different edge. Only then do we put the liquid into The Catalyst Boilie. 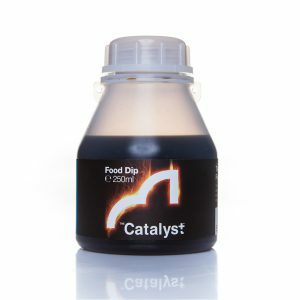 So when we make a food dip, we don’t use clear cheap glucose liquids with colours or flavours. We make you a dip you can use as liquid food.